About 25km from Maun, the tar road ends at Shorobe. A good gravel road leads you up to Buffalo Fence about 15 km on. 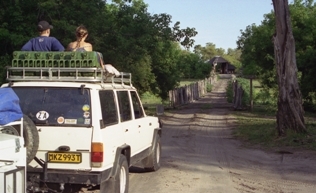 Travelling further north for about 35km, on a sandy but scenic road, where game can already be spotted, the southern entrance of Moremi Game Reserve is reached. 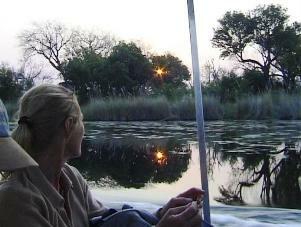 The Moremi Game Reserve is situated within the Okavango Delta, and offers a landscape of lagoons, winding waterways, reeded banks, Mopani and Knob thorn forests. Cape buffalo, lion, elephant, zebra, giraffe and other animals live in the riverside forests, hippo laze in the shallow lagoons, while overhead vultures and eagles ride the thermals in search of a meal. 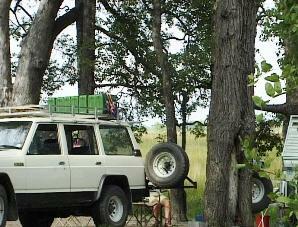 There are four public camping sites in Moremi, which must be booked for in advance. 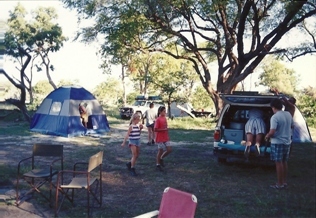 Entrance and camping fees are high compared to Southern African standards, which with the new booking system, ensures a low volume of visitors. 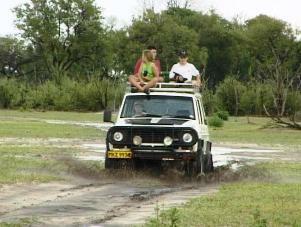 South Gate Campsite is situated at the Reserve entrance and is set amongst huge Mopani's. 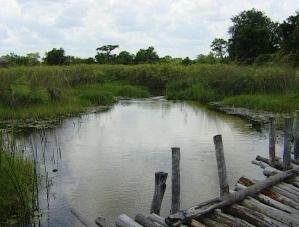 Xakanaxa is the only developed area in Moremi. 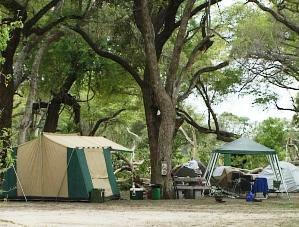 Close to the public campsites, safari operators have set up luxurious private camps. From here boats can be hired for cruises into the delta. North Gate, the exit gate in the North-eastern side of the Reserve is reached through a wooden bridge that crosses the river. 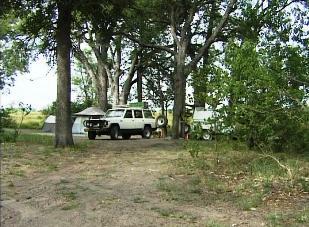 Close by the pleasant shady camping site is situated. North Gate or Khwai Campsite is a must on your itinerary, as this area probably offers the best game viewing in Botswana. 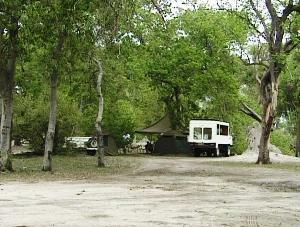 It is a beautiful campsite set amongst huge shady trees overlooking the Khwai River. It has to be mentioned that the baboons and monkeys can be a nuisance, and are famous for making camp life uncomfortable. Outwit them, and don't leave foodstuffs and utensils unattended. 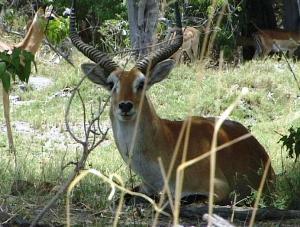 Khwai Camp is renowned for game viewing from the comfort of your camping chair. Elephant and the occasional wild dog out on hunt is a common sight for campers. 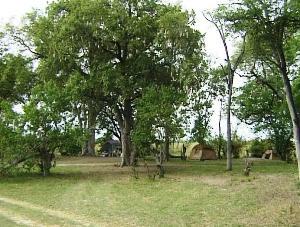 Xakanaxa Camping Site is situated in probably the most beautiful part of the Moremi. 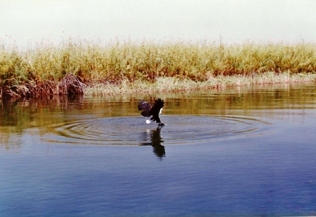 It is surrounded by beautiful pools and lagoons where game and bird life are in abundance. trees, overlooking the lagoon and Khwai River. A curio shop is conveniently situated outside one of these lodges. Our next stop is Khwai Camp. Situated at the north gate of the Reserve, the travelling distance is about 45km, but as the route offers lots of scenic drives, it is advised that you spend some time on this route. 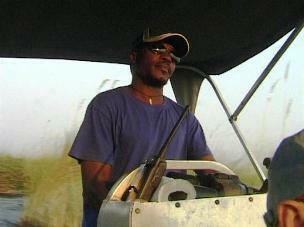 Game viewing is very good and the Hippo Pools close to Khwai is a worthwhile visit. Although the distance from 3rd Bridge to Xakanaxa is only about 20km, allow a couple of hours driving time. There are numerous loops and scenic drives along this route. 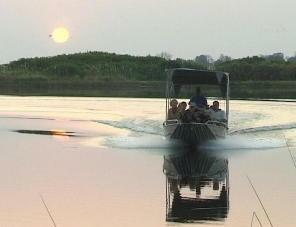 You travel through Mopani forest and grasslands surrounded by blue lagoons on your way to Xakanaxa. At places the road can be very sandy. Once again it must be emphasized that the condition of these roads can change drastically, and vary from wet to dry season. It is wise to be prepared. Ensure that your vehicle is equipped with a jack - preferably the high-lift type and engage into the right gear when approaching loose sand or muddy pools. Don't let the road condition stop you from exploring the wilderness. The harder it gets to reach a destination, the more rewarding the result will be. 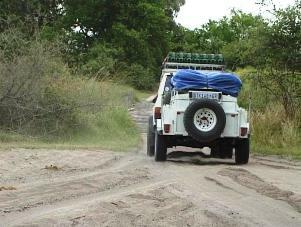 All you need is a sound, well equipped 4 x 4 vehicle, common sense and a will to answer the beckoning call of the wild.